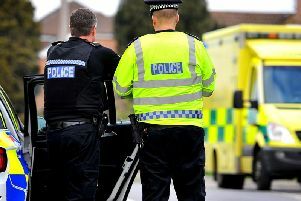 Police have issued a warning after reports of scam phone calls in East Sussex, in which residents have been 'threatened with violence and damage to their property'. In a post on social media, Eastbourne Police said victims have been contacted on the phone and asked if they want their driveways tarmacked. It added: "If work or payments are refused, the suspects have threatened the occupants with violence and damage to their property. "Remember, if you believe or suspect that an offence is occurring or is about to happen, please call us straight away on 999."